Your business is your livelihood, which means your commercial property needs to be protected. Property management and security might not be in your list of core competencies, but they’re essential to your success. Unfortunately for many businesses, security comes as an afterthought. It’s just one box to check off once everything “important” has been accomplished. Yet, paying attention to security could be one of the most important activities for your business. The difference between a successful business and a failed often comes down to the security system. While commercial security systems are a must, you also need the right planning, equipment, and ongoing security activity. Below you’ll find ten important areas you need to consider when looking at your property management security. Securing your commercial property starts with a good security plan. There are three essential steps in the process of developing a security plan. An effective security plan starts by knowing exactly what you need to protect. This can include the building itself, various office or retail systems, stock, personnel and even intellectual property. Identify and rank your business’ assets in terms of their relative value to the business. A hardware store needs a more effective commercial security system to watch over their power tools than they do to watch over their nuts and bolts, for example. You need to know what’s at risk when a given type of incident occurs. You also need to understand where your business property is most vulnerable. Is that risk posed by shoplifting customers? How much harm can a disgruntled employee do to your business? You might discover, for example, that a physical security guard is more important than you initially thought, or you might discover some vulnerabilities. Knowing the source of potential threats helps you defend against them. Once you’ve created a solid security plan, you can begin to acquire and install appropriate security equipment. Security starts at the far reaches of your property. Commercial security systems will include measures such as secure lighting, parking lot security, and possibly fencing. You always have to strike a balance here between security and aesthetic; you don’t want to scare away customers by looking like a prison. There are plenty of options here. For property management security, you’re usually best off choosing to work with a security company that can monitor your alarm systems and alert the authorities if there’s a security breach. You might also consider manually-activated alarms that you or an employee can activate in case of an incident. Video can be useful in both deterring criminals and in incident response. Here again, you have many options, from simple motion-detecting cameras to security companies that will send drones to your location to monitor activity. Even if your business isn’t primarily one that deals in intellectual property, chances are pretty good you’ve got some data on your computer systems that should be guarded. Regular, ongoing security activity is the final piece to the puzzle. A security plan and security equipment does little good if it’s not backed up with action. In an ideal world, every employee would be a happy and trustworthy employee. As you’ve probably experienced, that’s just not the case. While you don’t want to overburden employees with time-consuming procedures or inconveniences, controlling access to assets is part of a good commercial property security plan. You need to understand exactly how your business will react when there is a security incident. This includes not only what authorities will be notified during an incident, but it also includes important considerations like disaster recovery and business continuity. You need to know what to do in the event that your security is compromised. Perhaps not surprisingly, a security plan can become out-of-date rather quickly. Your security plan should be reviewed on at least an annual basis. Your security equipment should be given at least a minimal test at least every quarter so you can address any maintenance issues. 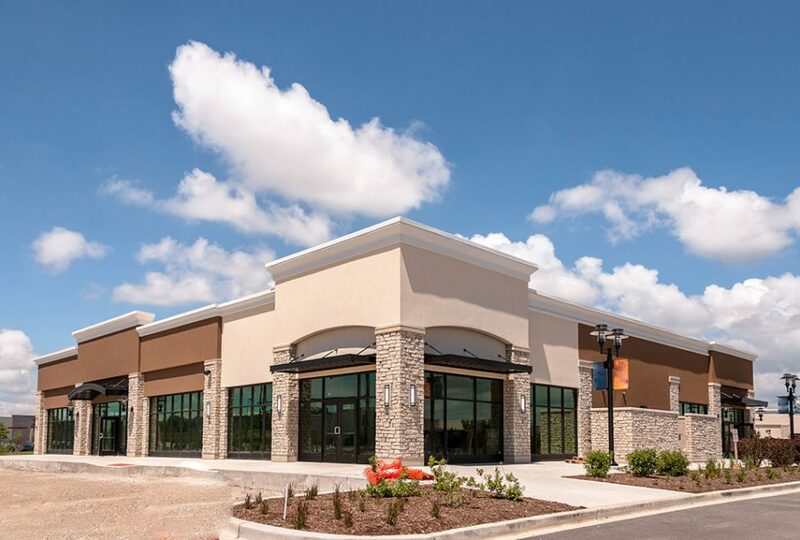 Done right, commercial property security can protect your business from certain types of risk. Should a security system fail or somehow become bypassed by nefarious parties, a good security plan will help you to assess the damage and bring your business back up to speed in no time.